How to Dress for Winter Sightseeing in Paris – Think Chic! Parisian women are famous for their effortless style and innate fashion sense. So what are the rest of us to do when packing for a winter trip to Paris? Think simplicity, comfort and understated elegance. Black, plus neutrals – You will NEVER feel out of place in basic black. You will see black everywhere, from casual to business wear to formal attire. Choose black as your base, and mix with one or two other core neutrals, like cream (winter white), gray, or tan. Black slacks that are warm but comfortable will be your mainstay. French women wear chic jeans, with fashion boots or shoes, but never with running shoes. They would not be caught dead in public in athletic wear, unless they’re actually jogging on the Champs de Mars in the 7th! If you have the figure for it, skinny black jeans, or leggings to pair with sweaters, blouses, jackets, etc. are also good bets. If you grow tired of black, you can change up with gray or navy slacks. Overcoat – Paris winters can be cold and blustery, with some snowy days. But this is not the North Pole! You won’t need a parka! Low temperatures rarely fall below the 20’s F˚/-6 C˚, with highs in the upper 30’s to low 40’s F˚/-1 to 4 C˚. You may be comfortable with a nice all-weather overcoat or trench coat (black) with a zip out lining, or a black or charcoal wool pea coat, or “walking length” coat is always in style. We like this Michael Cors black trench coat. Scarves – Of course, no outfit is complete without a winter scarf. 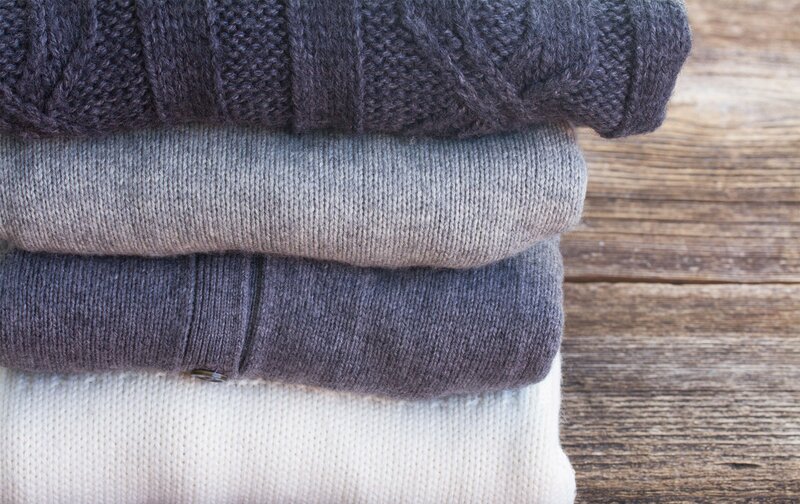 Wool, pashmina and cashmere are very popular. Bring one, but plan on buying several in Paris. For great prices on designer scarves, check out our favorite Paris designer consignment stores, Reciproque, where you can pick up a barely-worn Herme’ scarf for half the price. 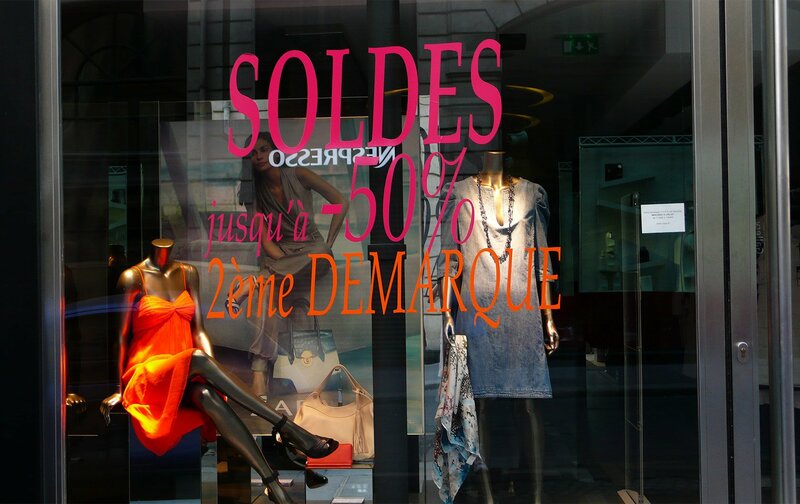 Alternatively, see what the best designer overstock store in Paris has on sale, Catherine Max. 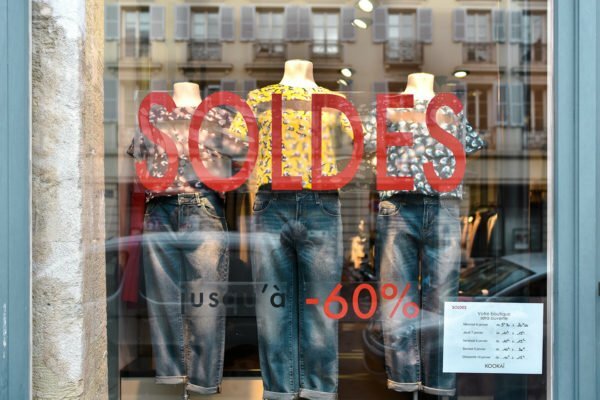 Both stores are located in the 16th arrondissement, a fun outing and easy hop from one to the other. Scarves make great gifts to bring home as well. For scarf bargains, check out Monoprix, like a smaller French Target, or even the stands outside the big department stores on Blvd. Haussman. And when someone asks you years later where you got that nice scarf, you reply, ”Oh this? I picked it up in Paris”. Here is a handy site we found that includes five different YouTube videos of how to tie your scarves. Check out the 4th video by Mireille Guiliano (author of French Women Don’t Get Fat). We like her unique idea. Boots – Boots of all styles are popular to pair with slacks. Now, the question is, can you really walk up and down the cobble stone hills of Montmartre in boots? Can you really find a comfortable boot that will see you through hours of strolling the Louvre? Maybe. We like Merrell or Clarke walking shoes for comfort, and have our eye on these black suede Clark boots. They look stylish yet comfortable too. 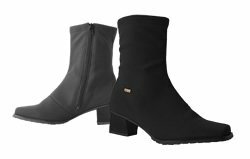 This Ara Paris boot from Shoebuy.com is also waterproof, with Gore-Tex lining. 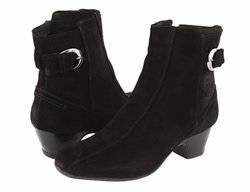 What are your favorite boots/shoes? If you’ve found a perfect combination of comfort and class, please share with our readers in the comments. Purse – Large fashion and designer bags are in style this season, but they take up room in your luggage, and remember, you don’t want to tote a heavy purse around sightseeing all day. Something lightweight, but large enough for a folding umbrella, a water bottle and map, and your other necessities (guess what color goes with everything?). Some ladies like a shoulder strap that can be worn across the chest or a body hugging style worn under the arm. We like the Baggallini brand, which is lightweight, sturdy, stylish and affordable. Their zip out shopping bag is an essential item for bringing back all your purchases! We like jackets that have inside zipped pockets for wallets. Alternatively, buy a tiny zipped bag that you can slip on under your jacket for valuables and mobile phone. Gloves – A nice warm pair of (black!) kid gloves will do nicely. Save your ski gloves for Chamonix. Jewelry – Less is more. Think one or two nice pieces, like a belt over a sweater, a simple pair of earrings, or a fashion watch or bracelet. We strongly recommend leaving good jewelry at home, as you don’t want to tempt pick-pockets on the metro. Paris is generally very safe, but there’s no reason to tempt fate. Sunglasses –Why not? 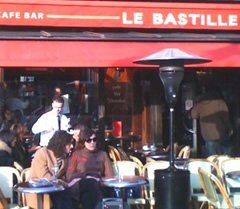 Many outdoor café’s are heated and like the French, you can sit outside sipping a café au lait in the winter sunshine in stylish sunglasses, looking very Catherine Deneuve! You probably won’t have too many sunny days in winter. But who cares? 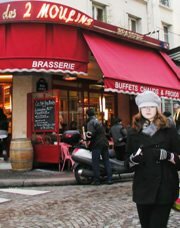 Winter is a wonderful time to come to Paris! There is so much to see and do in Paris, you will never be bored! 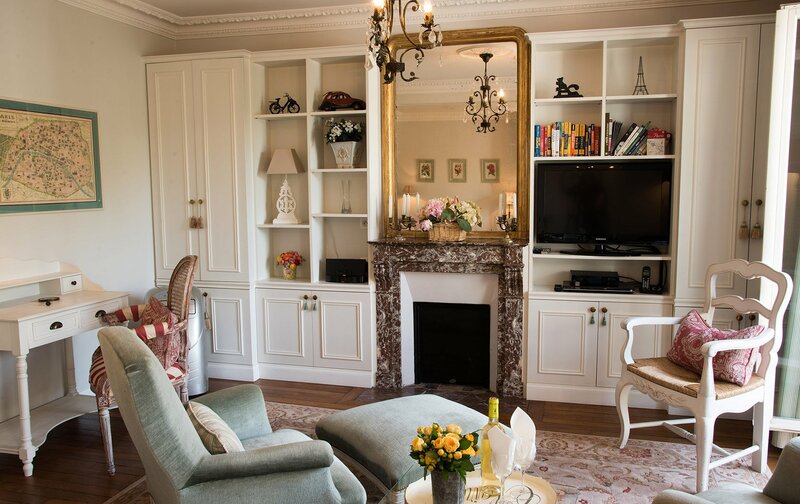 And what better reason to come to Paris in the winter than to save 30% off our gorgeous luxury Paris Perfect apartment rentals! Oh la la! And don’t forget the Winter Sales (Soldes) that officially start on January 12. 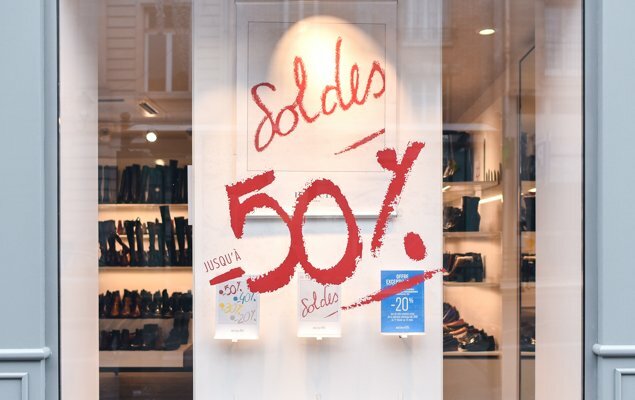 This is a great time to visit Paris for bargains on everything! NEXT: Recipe for Edible Christmas Decorations – A Fun Idea for Kids! Posted on Thursday, December 9th, 2010 at 5:07 pm in Parisian Living. You can follow any responses to this entry through the RSS 2.0 feed. You can leave a response, or trackback from your own site. 12 Essentials to Pack for Paris in the Winter These French Fashion Brands Will Make You Feel as Chic as a Parisian! Incredible Savings At The Winter Sales In Paris The Most Anticipated Shopping Event of the New Year is Here! Perfect! Now what about us fashion-conscious guys? ?